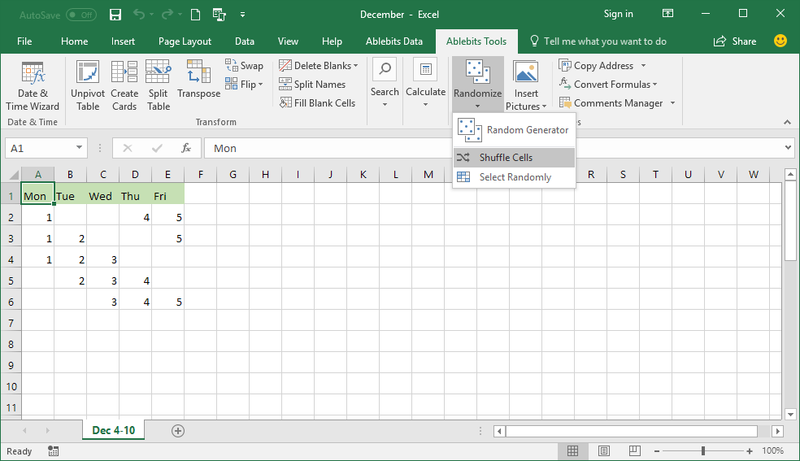 With Random Sorter you can randomize cells in each row and column individually, re-sort all cells in the selected range, or shuffle entire rows and columns. You can also get a random selection from a set of data, for example, select random names or numbers from a list. Randomize cells in each row or column Rearrange cell values within each column or row. 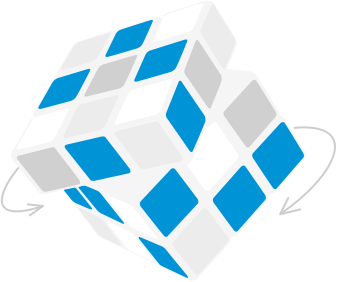 Randomize entire rows or columns Intermix whole rows or columns in the selected range. Shuffle data between all cells in the range Randomly sort all cells in the selected range. Select individual cells randomly Pick a number or percentage of random rows, columns, or cells. What is Random Sorter and what do I need it for? 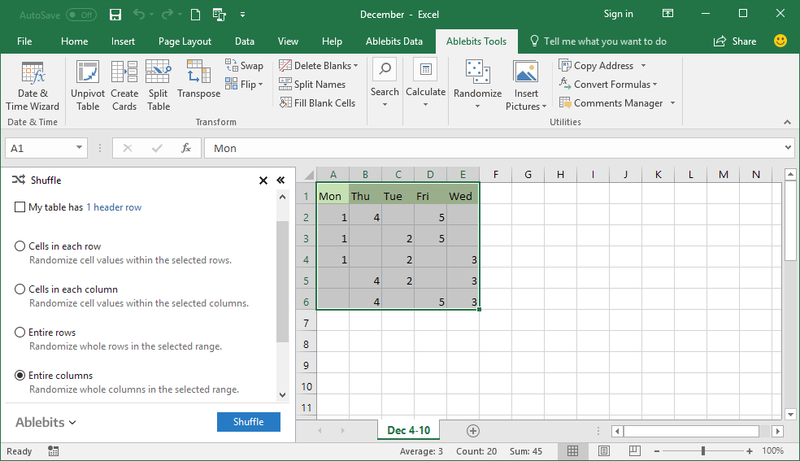 The add-in is designed to shuffle values in rows, columns, or all cells in a selected range. 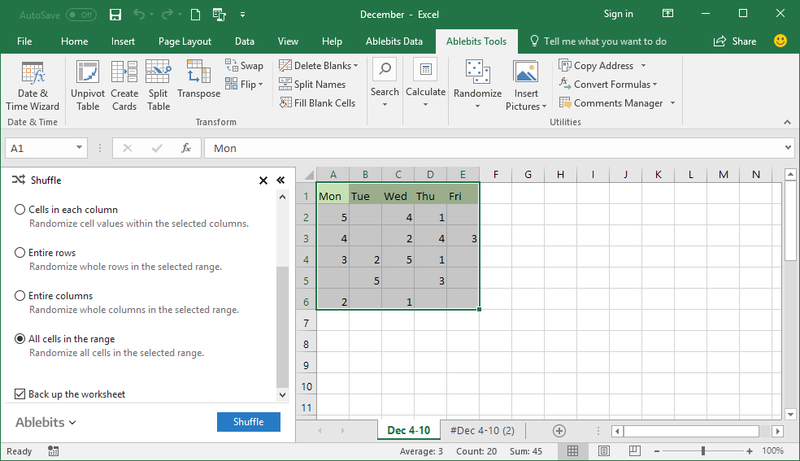 What's more, it can pick a random number or percentage of cells from your Excel spreadsheet. Isn't there a way to sort and select randomly in Excel without any add-ins? Yes, there is a way. First, you insert a new column next to the column you want to randomize. Then, you populate your helper column with random numbers by using the RAND() function. After that, you sort the column with random numbers, and then select the required number of cells. 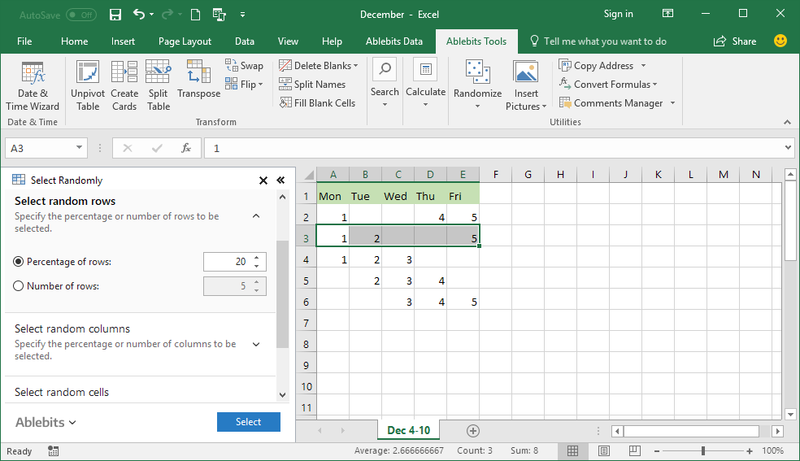 If your knowledge of Excel formulas is above average, you can combine a few different functions together to select a random sample without duplicates. The downside of this approach is that new random numbers are generated with every recalculation of your worksheet, causing your random sorting and selection to change. 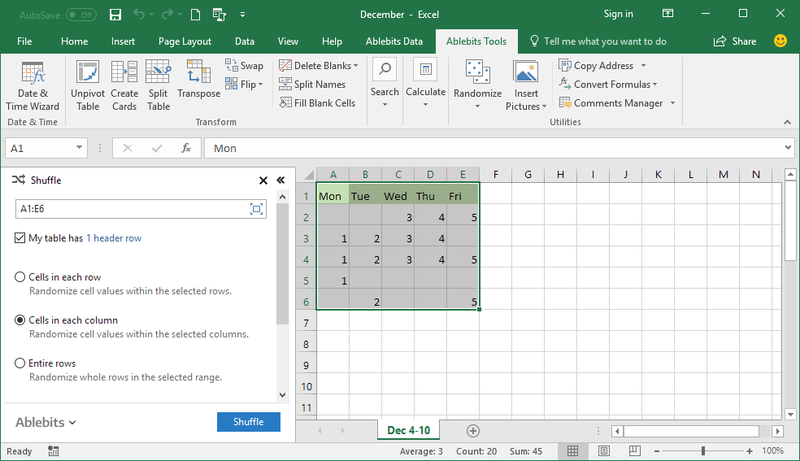 Our add-in lets you shuffle your data and select randomly exactly the way you want, without messing around with volatile Excel functions. How do I work with Random Sorter? Choose how to randomize values. Choose how many rows, columns, or cells you want to pick randomly. Won't I lose my data if I use the add-in? No, the add-in doesn't delete anything. On the contrary, it backs up your original worksheet whenever you need.